BATH & BODY. 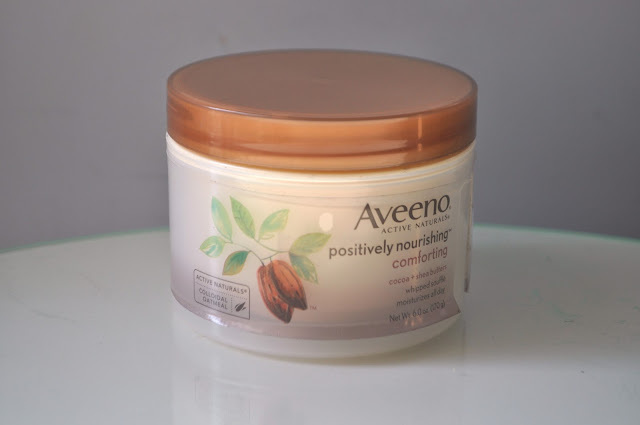 AVEENO POSITIVELY NOURISHING BODY BUTTER. | Life Looks Perfect. BATH & BODY. 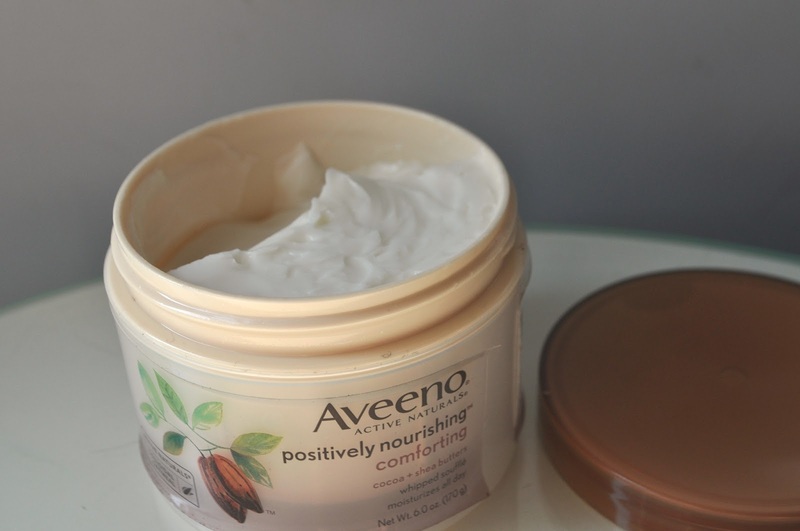 AVEENO POSITIVELY NOURISHING BODY BUTTER. Yummy, yummy, yummy. With basically all of my body moisturisers, I end up wanting to eat them, as they just smell sooo good. Out of all of the body butters I have tried, this amazing body butter by Aveeno is definitely my fav body moisturiser of the month. Butter me up baaaby! Aveeno products, are one of those brands that have been under my radar for a while, after reading some great reviews about their daily moisture range which targets dry skin. Exactly what I need! Whilst in New York*, I purchased this little beauty from a Duane Reade pharmacy where unfortunately they didn't stock the daily moisture range, Instead I found this absolutely amazing 'Positively Nourishing' collection. As I couldn't go empty handed, I picked up Aveeno's 'Comforting whipped soufflé'. See even the name sounds tasty and it has now become a product I can't live without! This body butter is enriched with cocoa and Shea butter which are two fantastic ingredients to have in any moisturiser as they give long lasting moisture, they help restore your skin's own elasticity and help to heal skin. Cocoa butter; is high in vitamin E which helps to aid in skin repair, it is also high in anti-oxidants which protect the skin from damaging toxins and moreover it has some anti-ageing qualities whoop whoop! 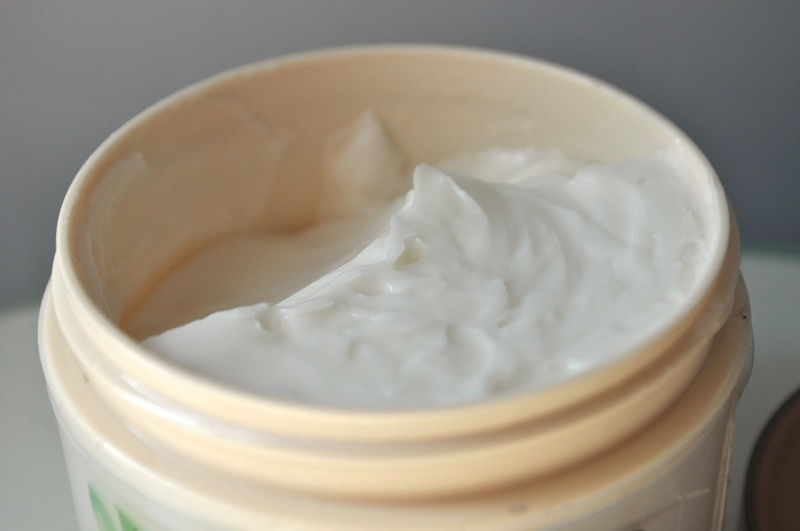 Shea butter; has high levels of natural anti-oxidants and essential fatty acids. These natural fatty acids and anti-oxidants are found within the Shea tree's nut's buttery content, which have been proven to be extremely effective for moisturising and repairing damaged skin. As I have previously said, I have loved looking into the ingredients of all of my recent purchases and another key ingredient of this product is Colloidal Oatmeal, which in a nut shell, levels the skins PH balance and helps to replenish, relieve and protect skin, helping to relieve skin conditions such as Eczema and sunburn to name but a few. If that wasn't enough, this product will definitely be at the top of my July favourites just because of the scent! Edible and luxurious! Absolutely stunning! !